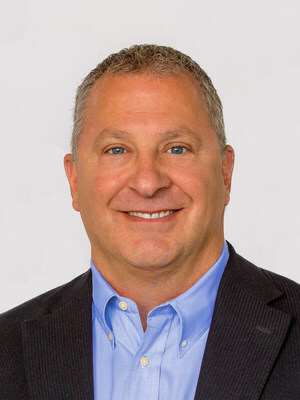 Echo Chairman & CEO Doug Waggoner Named to 2019 "Pros to Know" by Supply & Demand Chain Executive - Echo Global Logistics , Inc.
Echo Global Logistics , Inc.
Press Release from Echo Global Logistics , Inc.
CHICAGO, March 21, 2019 /PRNewswire/ -- Echo Global Logistics, Inc. (NASDAQ: ECHO), a leading provider of technology-enabled transportation management services, announced that Doug Waggoner, Chairman of the Board of Directors and Chief Executive Officer at Echo, has been named one of Supply & Demand Chain Executive's 2019 Pros to Know. The award recognizes Waggoner's 13 years of leadership and innovation at Echo. This is the third time Waggoner has been recognized for the award. Waggoner became CEO of Echo Global Logistics in 2006 and has since grown the company into a publicly traded, Fortune 1000, multibillion-dollar firm. Under his leadership, Echo became a premier provider of less-than-truckload (LTL) and truckload (TL) transportation in the third-party logistics (3PL) space. His expansion into multimodal services has made Echo a one-stop shop for transportation management. Waggoner diversified Echo's offerings by leading acquisitions of over 20 transportation management companies with specialized focuses such as intermodal, refrigerated truckload, and hazmat shipping. Today, Echo specializes in the development of data analytics, mobile applications, and artificial intelligence technologies that improve cost, efficiency, reliability, and service for shippers, and reports, payments, and lane selection for carriers. Under Waggoner, Echo has built strong relationships with more than 50,000 carriers to help clients navigate tight shipping capacity caused by driver shortages and electronic logging device (ELD) mandates. Notably, Echo helps its clients identify and correct inefficiencies that influence their reputation among carriers. For example, Echo has used GPS data from ELDs to help companies streamline their shipping yards and thereby help carriers optimize driving hours. "Mr. Waggoner's focus on exceptional service, innovative technology, and logistics expertise has turned Echo into a trusted name for clients who want to optimize their supply chain and find capacity," said Samuel Skinner, Echo Board Member and former U.S. Secretary of Transportation from 1989 to 1991. "He has shown clients that they can transform their transportation from a cost center into a competitive advantage." Supply & Demand Chain Executive is the executive's user manual for successful supply and demand chain transformation. Its Pros to Know Awards recognize supply chain executives as well as manufacturing and non-manufacturing enterprises that are leading initiatives to help prepare their companies' supply chains for the significant challenges of today's business climate. Supply & Demand Chain Executive received more than 500 entries for the 2019 Pros to Know Awards. SOURCE Echo Global Logistics, Inc.